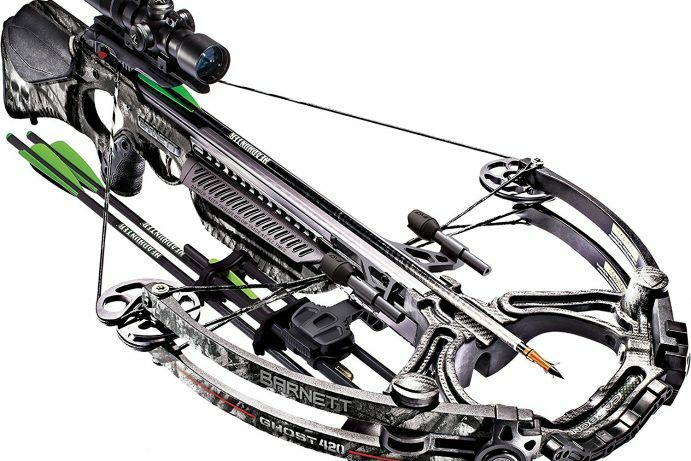 Fixed or Mechanical: Which broadhead to choose? One fine Sunday, I and my brother decided that we finally had to do it. We had been postponing it for weeks but this time no excuses would work. So, with gusto, we set out to clean the attic. During the process, we put aside all those items which were not going to be of much use in the near future. In the evening, with the day’s work done, we sat down to examine all these items once again. There was a lot of junk. However, we also got some items which could be made great use of instead of throwing them away. One such item was a compound bow. It had been a long time since we had gone hunting. So, we started to make plans for an outing. To purchase arrows, we visited the local supplier. However, once we got there, we got really confused. As it turns out, the bow and arrow industry has grown a lot recently. There were numerous broadheads to choose from. 1. 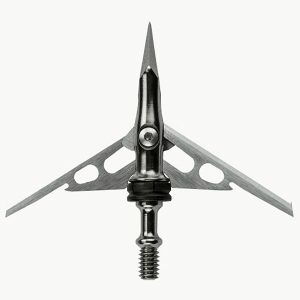 Fixed Blade broadheads; These are the conventional broadheads. Advances in mechanics have made them more friction free. They are typically more wide than their peers. These kind of broadheads have been in use since a very long time. Usually, they are glued to the arrows. However, there is a variation in which broadheads can be replaced as and when required. This makes for better functionality and more flexibility. 2. Mechanical Broadheads: Introduced more recently, mechanical broadheads are retracted while being shot. Only after they come in contact with the target, their blades spring open. This leads to a much stronger grip on the target. They also have a host of other benefits which we got to know in some time. Once we got to know about the broadheads, we next tried to figure out the advantages and disadvantages of each. Old Tom, the shopkeeper and a good friend helped us out! a. Strength: Their most significant positive! Practically speaking, it is impossible for a mechanical to compete in strength with a fixed blade. With the total energy of the broadhead a given, the mechanical one wastes some energy in opening up the blades. Also, the energy gets distributed to two or more blades. b. Simplicity: Fixed blade broadheads are simpler. Detractors accuse the mechanical ones of not opening up on time or opening up too early. At times, they come out loose which increases air friction and reduces accuracy. Since a number of complexities may arise out of mechanical blades, fixed ones are often more durable. a. 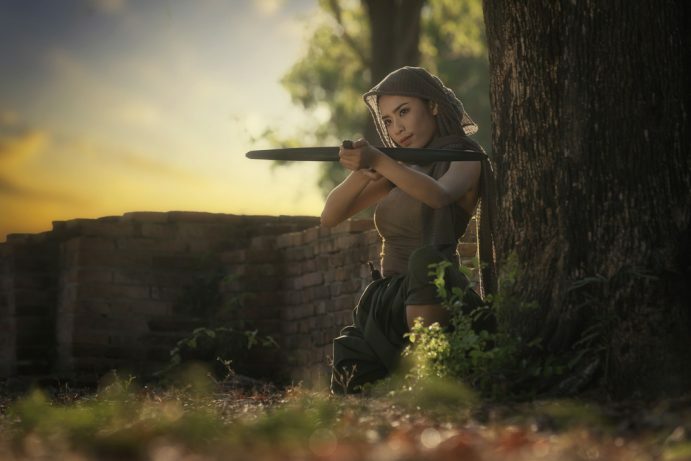 Accuracy: If strength remains the biggest positive, accuracy remains the biggest negative. The protruding blades make the arrows aerodynamically unstable. They are difficult to control, especially in windy areas. 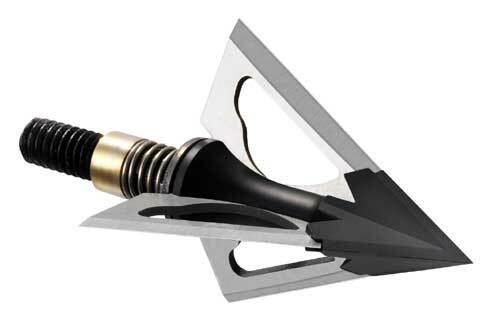 Inaccuracy of fixed blade broadheads created the need of mechanical broadheads. b. Blood trail: Since, fixed blade broadheads impact a smaller area, the amount of blood flow is limited. As a result, the hunter finds it difficult to trace his wounded target. a. 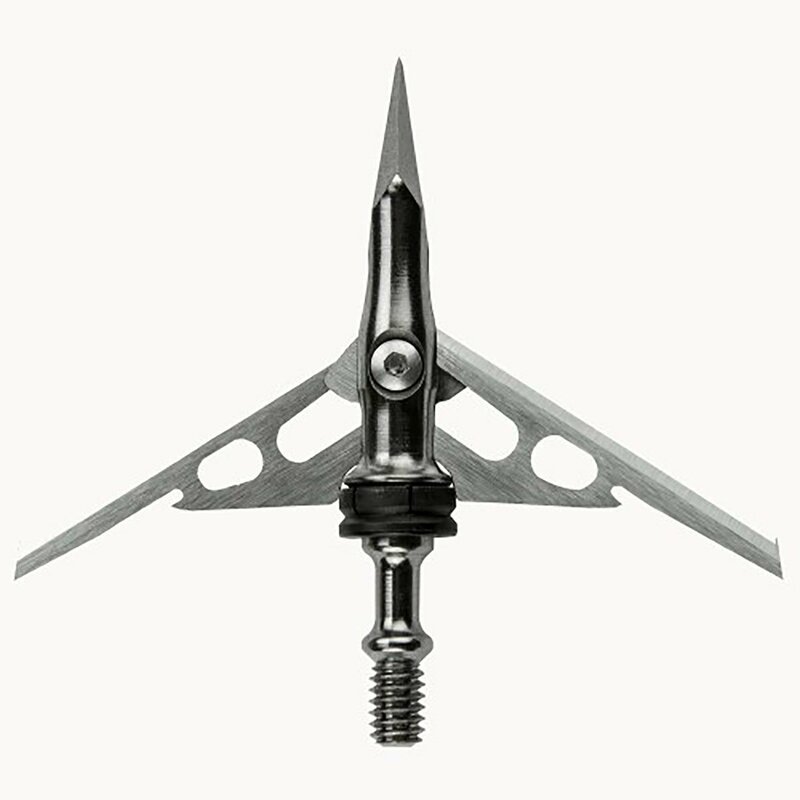 Precise: Mechanical broadheads have no edges protruding out during flights. 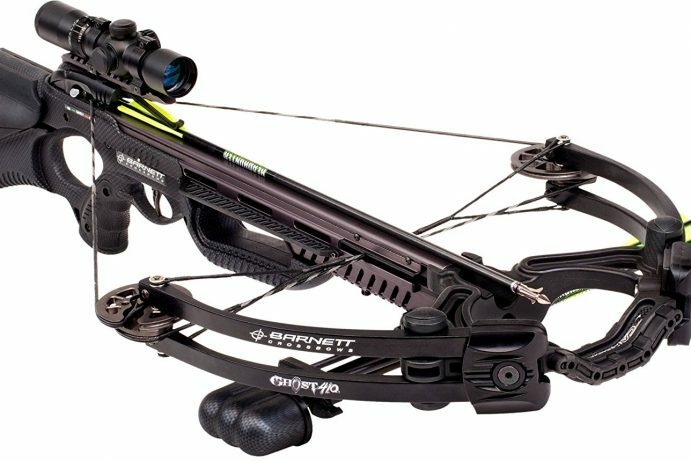 They are aerodynamically stable leading to precise and accurate shoots. Even badly shot arrows do not stray much out of the desired path. b. Profuse bleeding: Two or more blades work in case of mechanical broadheads. A wider impact area ensures faster and surer blood outflow. Thus, the hunter finds it easier to trace his prey. a. Emerging product: Though they have come a long way, mechanical braodheads still face numerous quality issues. At times, the blades won’t open or suffer a lot of damage easily. At present, they are also more expensive. b. Strength: More blades may be more convenient. However, they also take up more energy. 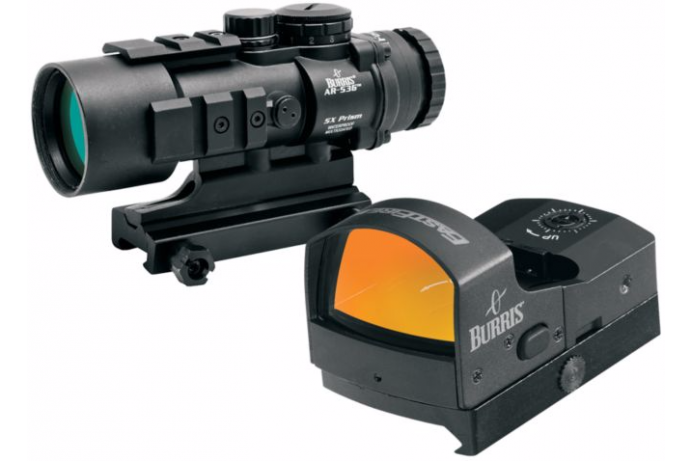 This reduces the overall impact of the broadhead. It, also, loses kinetic energy in opening up the blades. 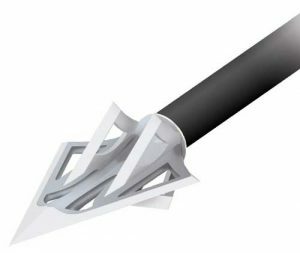 c. Difficult to maintain: It is common for mechanical broadheads to get more easily damaged. Besides, servicing three blades in a single arrow instead of just one is burdensome. This was an important decision. They may have their bright sides. But, there usage was also situation specific. We learnt that the mechanical arrowheads were better if we were looking for improved aerodynamics or more efficient angled shots. However, if we wanted strength, there was no match for the fixed blade broadheads. Moreover, it depends on the animals we hunt. A mechanical is decisively better for a turkey but ineffective in case of an Alaskan Moose. It was an information intensive period. At the end, though the mechanical broadheads offer significant advantages, if really lags behind on others. Thus, at present, specific situations probably matter more in taking this decision. We, however, chose to purchase more fixed blades broadheads. We felt out skills were too rusty to try something new! No Replies to "Best Broadheads Buyer's Guide"